Accra-Fab Announces Retention and Expansion Plans in Liberty Lake - AccraFab, Inc.
(SPOKANE, Wash.) – Greg Konkol, CEO of Accra-Fab, and the Accra-Fab Board of Directors are pleased to announce their plans to remain and grow in Washington at their Liberty Lake facility. Accra-Fab began as a sheet metal fabricator, and has expanded over recent years to include engineering, design, prototyping, contract manufacturing, welding, finishing and assembly. The company has expanded their industry portfolio to include aerospace, test and measurement, energy, telecommunications, medical, coffee and precision industrial equipment. As part of Greater Spokane Incorporated’s Economic Development Retention Program, GSI and a team of partners began working closely with Accra-Fab on connections to resources, including the Governor’s Office, the Departments of Commerce and Labor and Industries, the state delegation, training programs and property owners in Spokane County. 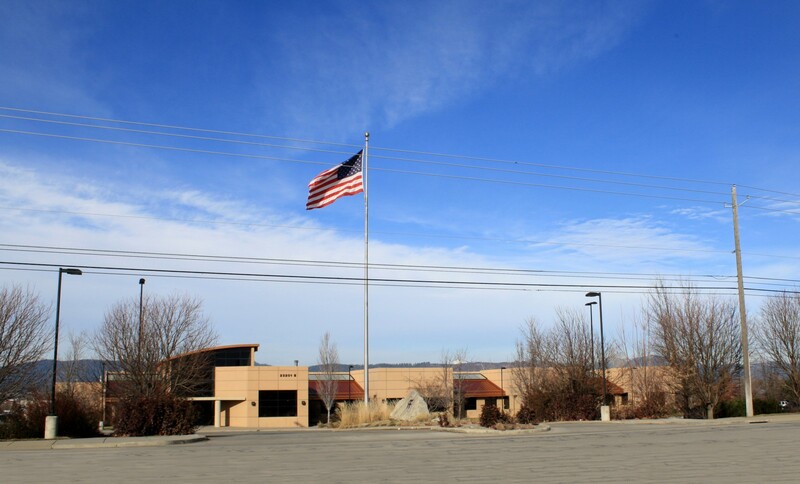 Each partner provided information and support for maintaining the Spokane County location, including the review of industry incentives as well as access to decision makers and training funds. “Thanks to our AIR Spokane team members – Avista, City of Spokane, Community Colleges of Spokane, Spokane County, and Spokane International Airport – and other critical partners, such as the City of Liberty Lake, we were able to convene a team to aggressively work together to retain Accra-Fab as part of our high growth aerospace sector,” said Todd Mielke, CEO of Greater Spokane Incorporated. “Our objective was to make sure we had a win-win for the employees, the employer and the land owners in a challenging environment of business growth and competition. Knowing all the issues allowed us to provide leadership and find a solution for all interested parties that met Accra-Fab’s objectives to maintain and expand their presence while calling Liberty Lake home,” said Mayor Steve Peterson. Accra-Fab currently has over 160 employees, and anticipates growth exceeding 10% at their Liberty Lake location. State recruitment and training programs will be utilized to help assist with the employment growth, including new equipment training, technical, management and leadership development and industry specific technical training. Accra-Fab brings $53.5 million in annual economic impact to our region. Incorporated since 1979, the Accra-Fab team continues to impact their community and industry in a positive and substantial manner. Accra-Fab recently received one of two Aerospace Futures Alliance of Washington Company of the Year awards for its commitment to aerospace growth in Eastern Washington, and its further commitment to the environment. Greg Konkol serves as Chairman for INWAC, dedicating hours and resources toward the development of local aerospace manufacturing. The company maintains ISO 9001:2008 and AS9100C certification for their quality systems. And, in 2012, their lean based processes and dedication to environmental sustainability led to the collaborative design of a waste water reclamation system that reduced the amount of waste water generated from their manufacturing processes by 94%. Greater Spokane Incorporated (GSI), the Spokane region’s Chamber and Economic Development organization, has been creating something greater for Spokane and the Inland Northwest since 1881. GSI is charged with the mission of leading transformative business and community initiatives to build a robust regional economy. GSI is funded through a combination of private and public investment, including 1,200 private-sector member investors; Spokane County; Washington State Department of Commerce; and the cities of Spokane, Spokane Valley, Cheney, Liberty Lake, Medical Lake, Newport and Deer Park, and the Kalispel Tribe of Indians. For more information, visit GreaterSpokane.org and AdvantageSpokane.com or contact us at 509.624.1393 or 1.800.SPOKANE.